Handpicked, wild harvested cashews, roasted and packaged in East Bali, Indonesia. Small socially conscious company empowering the local community through farming and education initiatives. Preservative and pesticide free. No artificial colours or flavours. Gluten Free. Vegan. Sprinkled with hand-harvested sea salt. 35g snack size. Buying this product = 2 Reward points for Members. Your cart will total 2 points = voucher of $0.10. Not a Member? Join at checkout to claim these points. 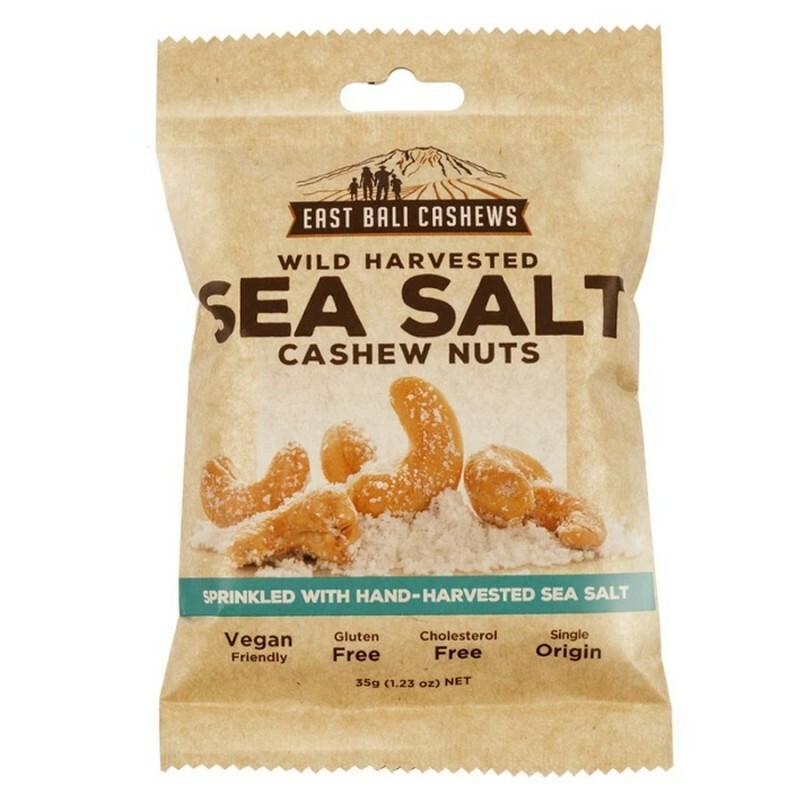 East Bali Cashews is a social enterprise empowering the local community through farming and educational initiatives. By purchasing tthese products, you are directly supporting the development of the communities, families and children of East Bali. Note: Contains tree nuts. Made in a factory which uses sesame seeds and peanuts.